I lose things. Lots and lots of things—my keys (in the couch), my jackets (inside taxis). Once I left my MacBook behind in a Subway restaurant during the Occupy Wall Street protests. I was lucky; the next morning I found it sitting there untouched underneath a chair as the staff served breakfast. I’ll admit it: When it comes to keeping track of my stuff, I could use some help. But dearest friends, family, and coworkers, whatever you’re thinking, do not buy me a Tile. “But! But! Tiles are great gifts! !” you, a wrong person, say. “Clearly you could use one.” Shush! I am speaking for forgetful-brained people everywhere: We are aware of the problem, and we’ll address it when we get to it. If you want a Tile, sure, go ahead and get one for yourself. But Tiles are otherwise totally crappy gifts—cheap chunks of frustrating plastic. Maybe you were at Best Buy, browsing some website, or strolling past an airport vending machine when you saw one of these Bluetooth trackers on display. 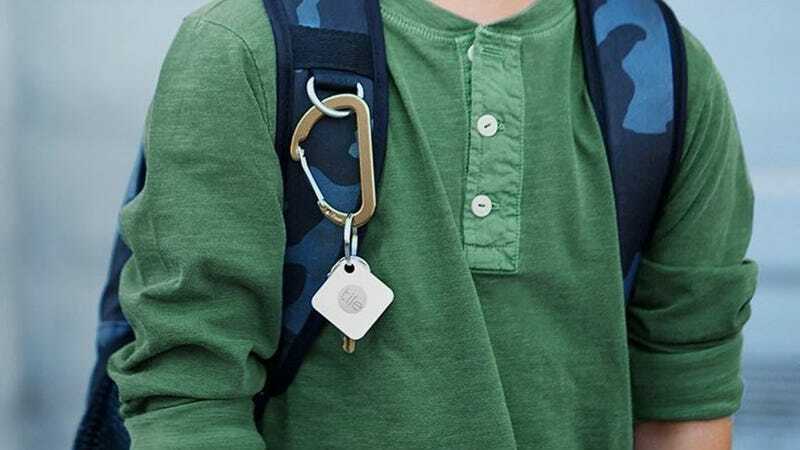 The little $25 dongles are designed to attach to things that you worry you might lose, so you can track where your stuff is with an app. Maybe in the heat of the moment, as your holiday shopping stress peaked, you swelled up in relief at the sight of it. “An easy gift?” you thought. “A neat stocking stuffer?” Nah, don’t do it. A Tile is a gift that’s both weirdly impersonal and insulting, wrapped up in shiny white plastic. It’s a gift that calls you irresponsible. Hooked onto a keychain, a camera, or a backpack, a Tile screams: “I have this here because my brain is mush. I lose things and everybody must know it.” Tiles are also a small burden to set up, a bigger burden to use, and conceptually frustrating, because they don’t offer the peace of mind you’d expect. A Tile forces your brain to worry about tracking, and that’s because a Tile isn’t as passive as it should be. To get the most out of a Tile, you need to keep your phone’s Bluetooth setting on at all times. By default, your Tile will remind you of this fact incessantly whenever you turn Bluetooth off. And if you have an iPhone, you’ll need to keep the Tile companion app open at all times, too, in order to track stuff you might lose beyond the reach of a Bluetooth signal. Don’t worry, the Tile app will also tell you this whenever you close it. And even if you tune all this stuff out, the app will additionally let you know when other Tiles are near your lost stuff, even when your stuff isn’t actually lost, if you opt into the company’s lost-and-found network. All of this is not to say that Tiles are utterly useless. In many ways, they get the job done—as long as you don’t accidentally break them, remember to replace them when the battery dies, and if you don’t mind putting in the effort. But Tiles are broadly frustrating little things, and until they work more passively (like Apple’s Find My iPhone feature), they’ll be more trouble than they’re worth for most people. For everyone else, well, you can just buy one for yourself. And if you really disagree with me—if you think Tiles really are so great—then I’ll bet you already did. Welcome to Grinch Week, a series in which we tell you what gifts not to buy this holiday season.